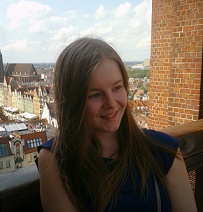 Camilla on the Fly: Easter! This year my Easter will be a bit different and not "traditional" in Finnish nor Polish sense. Finland national football team is playing against Poland here in Wroclaw this Saturday. Football game is not the most traditional way to spend Easter, but I can't wait to cheer for both teams (maybe more for Finland :D) I don't know how loudly I'm actually able to cheer for Finland as I don't want any Polish football hooligans against me. 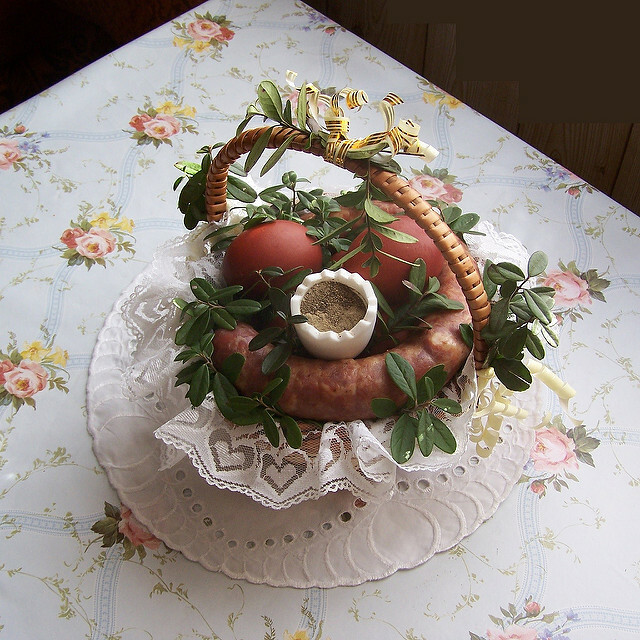 I would like to introduce traditions from Finland and from Poland related to Easter. 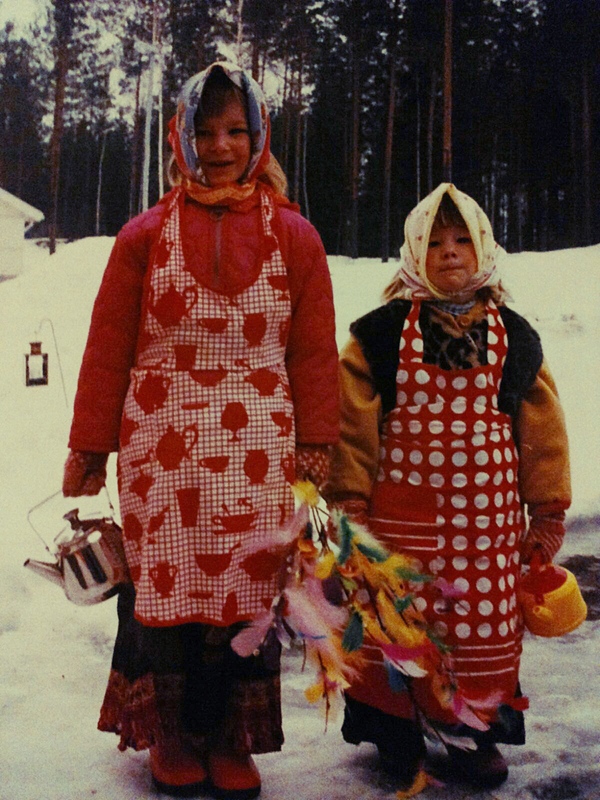 I want to concentrate to traditions that were new for me in Poland and traditions from Finland that I believe are weird for foreigners. 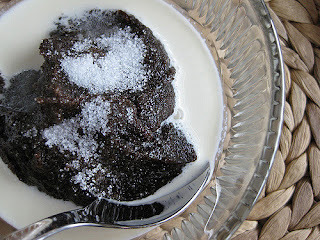 Mämmi: traditional Finnish Easter dessert that it made of water, rye flour, and powdered malted rye, seasoned with dark molasses, salt, and dried powdered Seville orangezest. It is normally eaten with sugar and milk or cream. My personal favorite is to eat it with vanilla souse. :P Mämmi doesn't look so delicious and that is why it is weird. Blessing of the Easter basket: Baskets containing a sampling of Easter foods are brought to church to be blessed on Holy Saturday. Foods in the basket have a symbolic meaning, normally it contains eggs, bread, lamb, salt and some ham (last year I also saw some chocolate eggs). 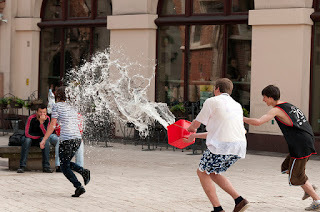 Wet Monday: Huge water war :D You can't feel safe anywhere (specially if you are a girl). Boys can have water guns on the streets or somebody may pour water from the window when you are walking by.